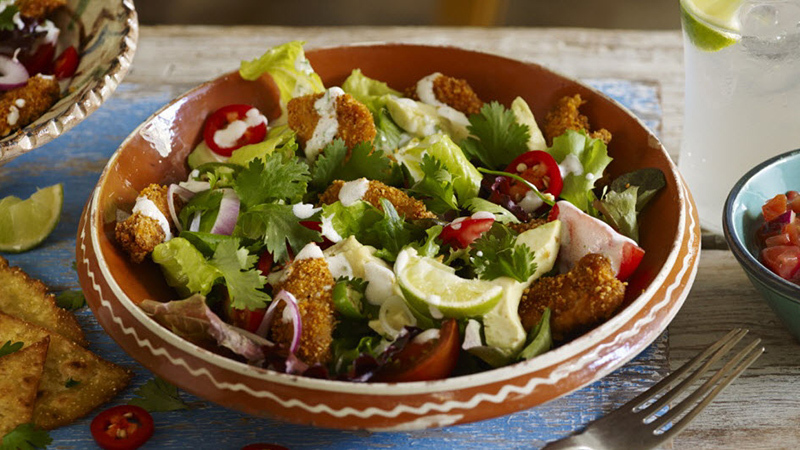 Tender crispy chicken and grilled tortilla triangles in a creamy avocado, red pepper and lime salad. Get the oven fired up to 225ºC, (205ºC for fan assisted ovens), gas mark 7. Cut the chicken breasts into thin, tender strips and throw them into the Shaker Bag with the oil and Crispy Crumb Seasoning Mix. Shake up the bag until the chicken is well seasoned. Lay the coated chicken strips onto a non-stick baking tray and stick them in the oven for about 18 mins, until the coating is nice and crispy. Get the tortillas under a preheated moderate grill. Our Flour Tortillas are oven baked to be soft and toasty so they only need 30 seconds each side before they're browned and crispy. Cut each into 4 triangles. Mix together the cool sour cream, tangy lime zest and juice, and coriander to make a tasty dressing. 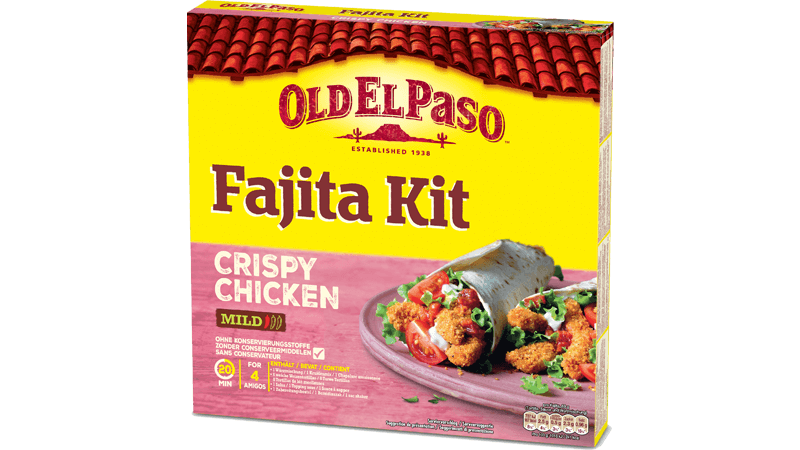 Toss the crispy lettuce, fresh pepper and creamy avocado into a large bowl and mix gently, then throw the tender chicken strips on top and tuck the tortilla triangles round the edges. Drizzle over the sour cream dressing and the Mild Original Salsa. Sprinkle with pepper, squeeze in a lime and dish it up for your hungry household.